Dessert time! :) I made banana fritters for my nephews for merienda. I just opened a box of Maya Hotcake mix, followed the instructions (**note that I did not put oil in the hotcake mixture so that it would coat the banana evenly) then in a separate bowl I opened a bag of tempura breading and seasoned it with a pinch of salt and cinnamon. 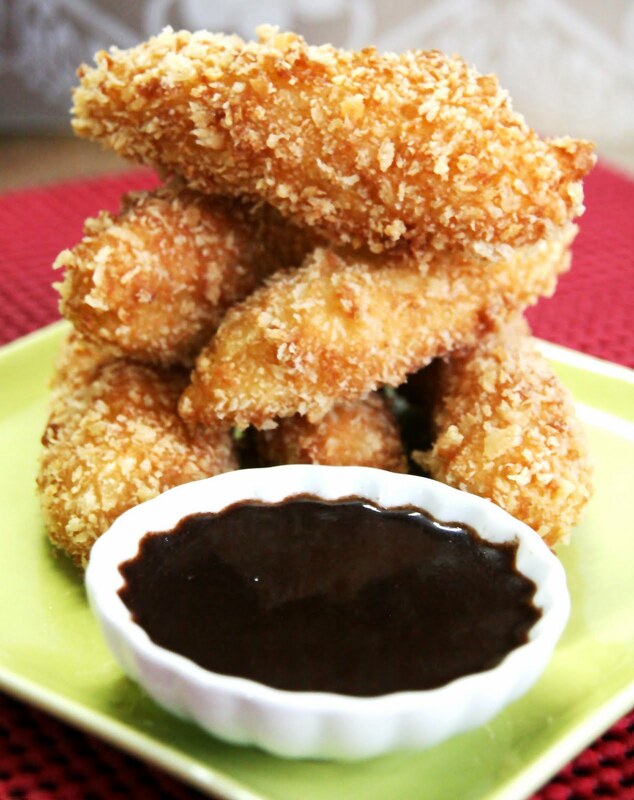 Dip the banana in the hotcake mixture then coat it with the tempura breading. Make sure that your oil in the pan is hot before you put the banana. Remove when its already golden brown. For the chocolate dip, I just melted a few tsokolate de cacao in a boiling water or you can use maple syrup instead. Try this one, it's great!